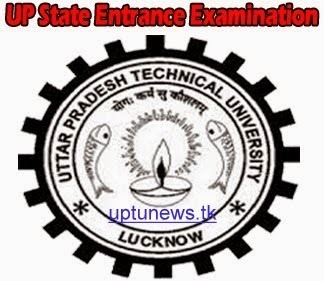 UPTU Entrance Committee Recent Decision Regarding UPSEE Application Form will make available of Uttar Pradesh State Entrance Exam (UPSEE) 2015 from the month of February Counseling will Start After Board Exam. Important Notice :- Uttar Pradesh Technical University (UPTU) had recently take an important decision and issue a notice regarding the Uttar Pradesh State Entrance Exam (UPSEE). UPTU will make available application form of UPSEE 2015 in the month of February 2015 together with Counseling just after the Board Exams. So, UPTU and students both will get the more chances to apply to fill up the usual vacant seats of B.Tech. in the engineering colleges affiliated to UPTU. UPTU organizes UPSEE exam every year in the month of May after then Process Counseling of starts. But this year it could conclude at its final stage in the month of August. So, students can’t get sufficient time to apply. In this year only 1 lakh 91 thousands students had applied that was less than the available number of seats, that’s why UPTU reached to this conclusion that application form of UPSEE will be available from February 2015. ► Exam will held after the Board Exam and Counseling will start immediately after the result of Board Exam. From this seats in the Engineering College will fill up earlier. It is interesting to see what impact this decision make on Vacant Seat filling in Engineering Colleges. Candidates are advised to be in touch for Latest & Quick updates regarding UPSEE 2015. Latest Updates will available on our website (uptuacin.blogspot.com). You just need to Bookmark our website & visit regularly for updates. Candidates can leave your comment. Any query & Comment will be highly welcomed. Our Panel will try to solve your query. Keep Updating Yourself.